“Certainly, the days are getting longer, but what I especially cherish is the change in the light, itself. It has a different quality from the low-angled blue-tinted light of winter. As the sun’s position in the sky rises with each passing week, the light becomes more direct. 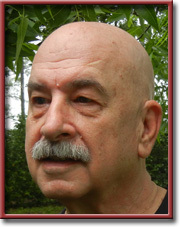 The new leaves on all the trees seem to color the air green/yellow with a hint of chlorophyll.”—William A. Balk, Jr.
By William A. Balk, Jr.
ELKO South Carolina—(Weekly Hubris)—April 2019—Everywhere you turn, there’s another sign of spring’s exuberant arrival: sneaky peeks at emerging new foliage; buds on trees and shrubs; so many flowers have started to blow. Do you know that term as applied to flowers? To blow? It’s from Old English, and it means to bloom or to flower—and this botanical usage is the root of the term “full-blown.” There’s a beautiful small tree called Shadblow (Amalanchier arborea, or Serviceberry), which gets its name from its regularly blooming at the time of the shad runs in the rivers. The signals that make us know that spring is finally, officially here are subtle, sometimes ephemeral, but persistent about declaring the season’s change. Not just the easily noticed things like budding leaves and flowers. For one, the temperature is noticeably different (notwithstanding the little cold snap recently), with warmer daytime temperatures and not-so-cool nighttime temperatures. The garden seems to rejoice in this transition, even though the still present possibility of a surprise frost seems to make many plants cautious about fully committing to expose all their new growth to possible damage. Many plants confront the changeable weather with some self-preserving strategies. Often, buds will open, somewhat tentatively, on one side of a shrub; or the first leaves or blooms to emerge will do so slowly, as if to make sure everything really is going to be all right before bursting forth in full glory. Our old Kieffer pear trees—one in front of the old house, two others behind—always seem to be on separate schedules. The tree in front is precocious, having covered itself in those spectacular white flowers weeks ago, which meant all the flowers and most of the fertilized ovaries (pears-to-be) froze in the week-long arctic blast in February. The two pear trees in the back yard only now have erupted in bloom. Successful flowering is the way to successful fruiting, and sometimes the only way to assure success is to spread out the timing. Or there is the method taken by the pecan trees: always the very last tree to acknowledge spring, pecans will make us wait another couple of weeks before the first catkins emerge at the tips of their branches, absolutely certain they have evaded the least possibility of frost. Certainly, the days are getting longer, but what I especially cherish is the change in the light itself. It has a different quality from the low-angled, blue-tinted light of winter. As the sun’s position in the sky rises with each passing week, the light becomes more direct. The new leaves in all the trees seem to color the air green/yellow with a hint of chlorophyll. 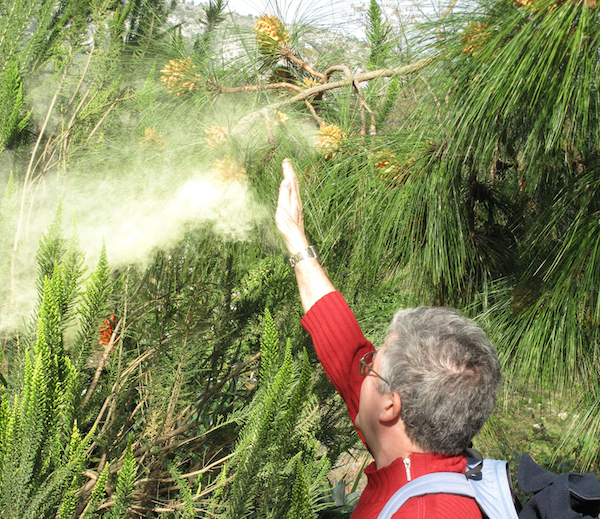 Come to think of it, that hint of chlorophyll might just be pine pollen! As I drove into the yard the other day, I looked up at our lovely gray-blue tin roof and was shocked to discover it had turned yellow-green overnight. Pine pollen. Did you read about the mayor of a South Carolina city who called the police because some vandals had completely painted her car in the driveway . . . yellow-green? I needn’t mention the other, more nasal, effects of pine pollen season. Central to all these leaves emerging and flowers blowing and pollen covering everything; to the mad dances of the birds and their frantic nest building; to the rapturous rhymes and playful courting of beautiful young people—central to all this is the force for life. This is the Garden (despite Landscape Architects with a penchant for “hardscapes”): hopeful tending of living things, celebrating the rituals and processes for life to prosper and grow and replicate itself, working to comprehend the Gardener’s own place in these cycles, these processes, these eons of living things. The Gardener celebrates spring’s arrival—indeed, he can hardly contain his excitement! —but he just as fully rejoices upon the other seasons’ arrivals. Each has unmatched challenges and irreplaceable pleasures. It is spring, however, which gets his sap rising. The Garden Writer, on the other hand, is made of flimsier stuff. Take a look. Every magazine, every online blog or journal with a writer about gardening has an article—or several—on spring. Every one. You behold the evidence before you. It is a certainty as predictable as the Vernal Equinox that we Garden Writers will, every one of us, pen a piece on spring, while all those around us go about the business of springtime. Stravinsky’s Faun is not the only one caught up in these Rites. Go forth, y’all, and multiply. Note: The images above derive from Wikimedia Commons and are used in accordance with Creative Commons Licenses. 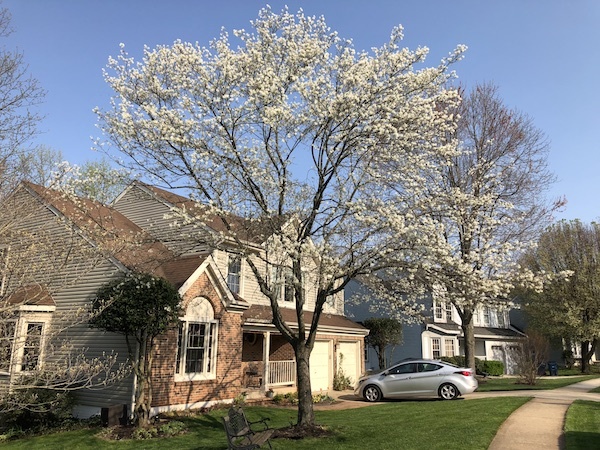 The Shadblow/Serviceberry photo is by faharper, file #2018-04-18 16 52 13. 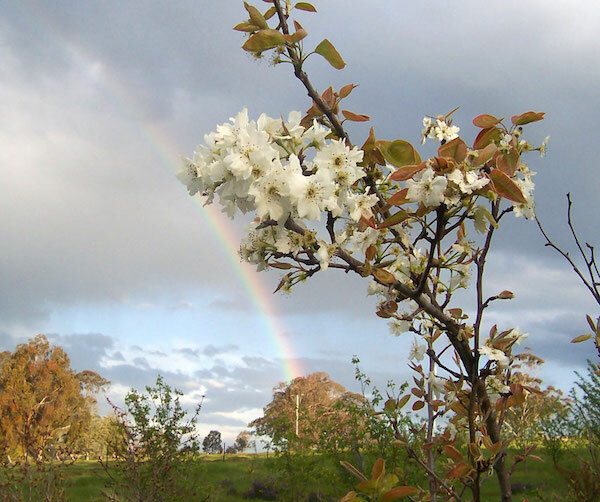 The Pear Tree photo is by Fir0002, filed as “Nashi Pear Tree In Bloom.jpg.” The photo of pine pollen is by Tangopaso, and is in the public domain. 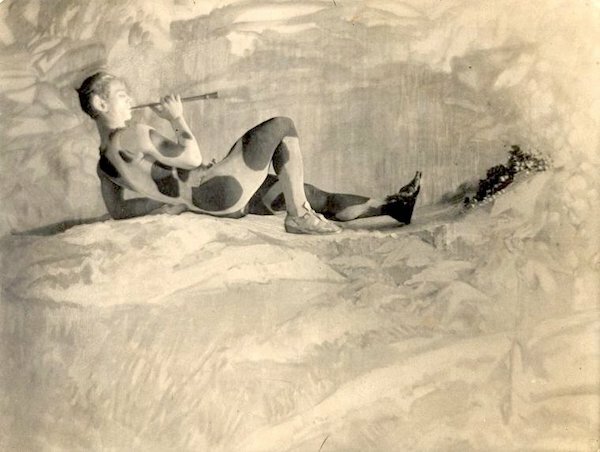 The famous image of Nijinsky is also in the public domain. About William A. Balk, Jr.